A mobile online game which combines elements of shooters and MOBA games. Brawl Stars has been developed by the creators of Clash of Clans, Hay Day, Boom Beach and Clash Royale. The game features only a multiplayer mode. 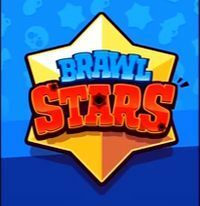 The AND and iOS release of Brawl Stars is a mobile online game, which combines elements of shooters and MOBA games. The game is based on a free-to-play business model with optional microtransactions. Brawl Stars has been developed by Supercell, known for creating such best-selling games as Clash of Clans, Hay Day, Boom Beach, and Clash Royale. The game features only a multiplayer mode. Players get to select one from over a dozen available characters, each featuring different weapons, assets, and a special ability. Some of these characters use various firearms, others throw grenades, but there are also those, who prefer to plant a bomb in the ground. The AND and iOS release of Brawl Stars offers an arcade model of gameplay. Players get to observe the action from the top-down perspective. There are two available controls systems – the first one is based on a virtual controller, while the second one is slightly more complicated, as one has to tap the screen to move his character around. In order to use the special ability, a player has to fill an energy bar by killing the enemies. To top it all, one can develop his character by improving his battle potential. All the elements regarding character development have been modeled after MOBA games, while the gameplay uses mechanics known from shooter games – this, however, does not include the battles, as they are rather arcade. The game offers four competitive multiplayer modes. In Smash & Grab, two 3-player teams fight each other with the objective of capturing the crystals that are growing in the middle of a map. When a character gets killed he drops everything he has gathered. The first team to collect fifteen crystals wins. In Heist, two teams defend a safe or try to rob it by turns. The third mode – Battle Royale – allows up to 10 players to fight until there is only one character still alive. The last of the game modes is Bounty, in which one acquires stars for eliminating his foes and loses them each time his character dies. The team with most stars wins when the time runs out.